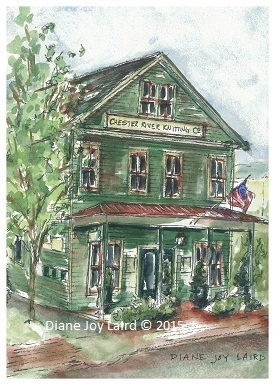 The original 5″ x 7″ image depicts the “Chester River Knitting Company” building on Cannon Street and offers a taste of the true architectural style found in historic downtown Chestertown. 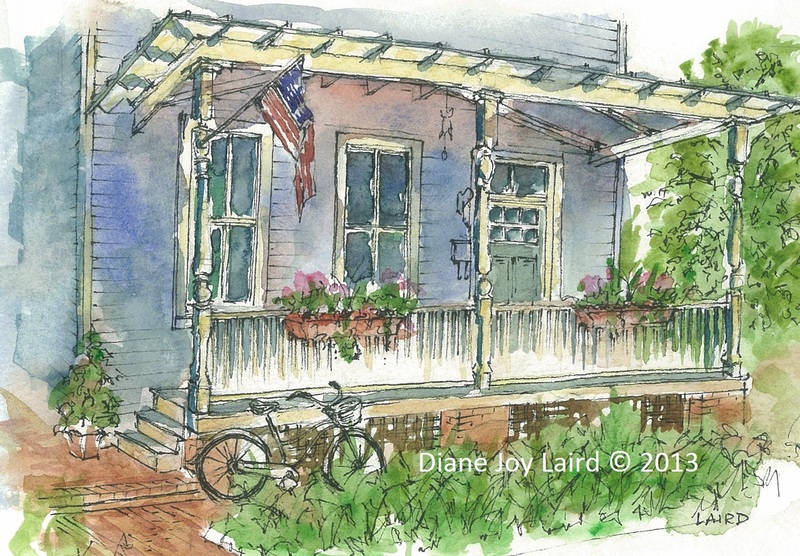 This colorful 5" x 7" painting depicts one of many modest historic homes in Chestertown and was created during the Chestertown Art League's 2012 Plein Air Paint Out. The original was sold to a Smyrna, Delaware resident several months later. Limited edition prints and note cards are now available. 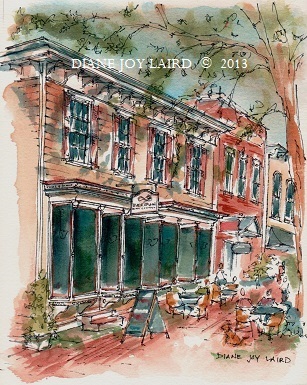 This lively painting the popular Evergain Bakery was completed in under two hours for the Quick Draw portion of the Chestertown Plein Air Paint Out in April 2013. The original painting is still available for purchase. Please contact the artist directly for more information. Limited edition prints and notecards are also available. 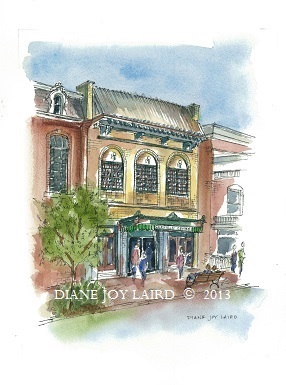 The Prince Theatre, now run by The Garfield Center for the Arts, offers a variety of performing arts for the community of Chestertown, as well as the surrounding region. 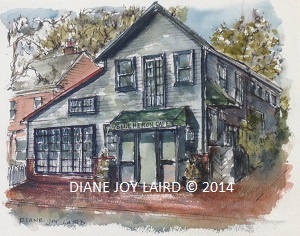 The painting was created and sold during the Chester River Arts 2013 Plein Air Paint Out and Second Look Exhibition. Limited edition prints and note cards are now available.